Ibanez has forged a reputation for forward-thinking design in recent years. 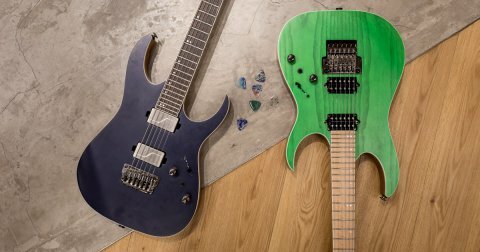 2019 is no different, as Ibanez introduces the new Axiom Label, new semi hollow guitars, and top-of-the-line hardware like Fishman Fluence pickups on some guitars. 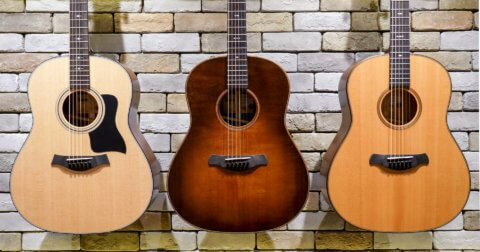 Many of these instruments made their debut at last week’s 2019 Winter NAMM show. We’re privileged to be some of the first in the world to stock these fine instruments at our stores. Here are just some that have caught our eye. And… it’s time for YATS! That’s right, it’s yet another Tube Screamer… Despite the countless variants from Ibanez and other pedal makers, one thing sets this limited edition piece apart – it’s gold. Ibanez have swapped the iconic green enclosure for a stunning all-gold one, and it’s a small gesture when compared to its glittering legacy. Having powered the sounds of guitarists like Stevie Ray Vaughan, Trey Anastasio, The Edge and more for more than three decades, the venerable TS-9 is widely considered the gold standard overdrive in the industry. Immensely popular as a standalone overdrive or to give your overdriven tube amp that extra boost, the Tube Screamer truly stands the test of time. The new Axion Label is designed for “any adventurous players after a next-level axe”, according to Ibanez. Even if adventurous is not what you’re looking for, you’ll still want to check out this unique instrument. The RGD61ALMS is a multi-scale fanned fretboard electric guitar that presents a different and unique playing experience. A multi-scale fretboard offers a handful of benefits. Improved ergonomics, comfort, intonation, and the varying tensions means the higher strings are easier to bend and the lower strings are tighter and punchier. The RGD61ALMS also comes fitted with the excellent Fishman Fluence Modern Ceramic humbucking pickups for cutting, aggressive tone without the hum, hiss and noise. The distinctive RG body shape is often associated with metal, speed and flair. 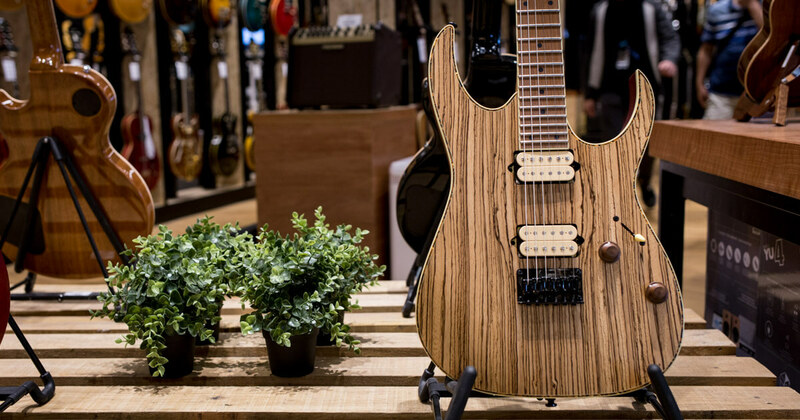 For this model, Ibanez has swapped the bright electric colours for an exotic zebra wood top. The eye-catching top offers a unique resonance, and is combined with a nyahtoh body for a warm, balanced tone. The RGEW521MZW is not just a looker, the DiMarzio The Tone Zone and Air Norton pickup combinations give it a tight and focused sound, perfect for an aggressive, singing lead tone. Ibanez has expanded its Artcore line with the AS63 semi-hollow guitar. This guitar packs a lot for its restrained price tag. Made with a sapele body, which possesses many tonal qualities similar to mahogany, and a nyatoh set neck, the AS63 comes with all the features you’d expect from a far costlier guitar. The Artcore line has been a popular choice for guitarists seeking an affordable option for hollow and semi hollow guitars since its introduction in 2002 and the AS63 fits the bill perfectly. The new lineup comes in a range of vibrant colours like Coral Pink and Mint Blue. Bass legend Gary Willis’ first signature model with Ibanez goes back 20 years. Few artists can boast such a long history with an instrument maker. The new GWB20TH Gary Willis signature anniversary model celebrates this long and lasting relationship. The bass has all the features Gary has become known for – an ebony fretless fretboard, a finger ramp, and uniquely shaped machine heads. The detachable finger ramp encourages players not to “dig in too deep” which gives a more consistent attack and better ergonomics. The bass is also fitted with Aguilar’s stellar DCB pickup in the bridge position and comes equipped with an Aguilar OBP-2 EQ. 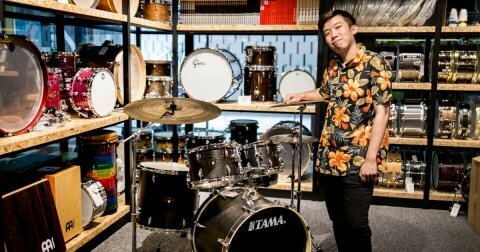 You can find more of the 2019 lineup of Ibanez guitars, basses and pedals at Swee Lee. Head down to your nearest Swee Lee outlet to give them a try. Or you can check out what’s new with Ibanez on our online store here.